Marilyn Pedersen is a neuro aesthetics visionary. She is the North Star for what the BSi and IAM Lab believe is possible when you bring the arts and brain sciences together. This article represents the hopes and vision of this initiative. Neuroscience has now approached the point of having the ability to determine the effects of certain stimuli on the brain. We now have access thru new technologies to see how the images that people view affects different parts of their brain. Yet we still don’t know why. I am not a neuroscientist, but what motivates me is the excitement to be part of the search for the answer to how and why beauty and our surroundings affects our brain. And, more importantly, is helping to find out how our immediate physical surroundings, especially architecture, can shape our thoughts as well as our decisions. Neuroscience explores the brain, the most complex artifact known to man with more than 100 billion neurons and trillions of networks. The brain provides the context for our minds which is central to architecture. Architecture is both a collection of buildings and a mental process for designing them for a specific purpose. We now are sharing with other institutions the knowledge currently developing in neuroscience, psychology, engineering, as well as taking advantage of newly available technology — applying all of this to explain human response to architectural settings and artistic creations as well as music. In other words, how the environment within which we live and work influences our lives. Johns Hopkins University School of Medicine has established, through the Brain Science Institute, the International Arts+Mind Lab, whose main focus is exploring how knowledge being developed in neuroscience and aesthetics can explain the response of humans. The term “Neuro Aesthetics” is somewhat new. It is an attempt to combines neuroscience research with aesthetics by investigating the experience of art, architecture and music on the level of brain functions and mental states. This recently developed field seeks the neural correlates of artistic judgment and artistic creation. It is widely accepted that visual aesthetics, namely the capacity of assigning different degrees of beauty to certain forms, colors, designs and structures is a human trait developed over many years of evolution. Tying this human experience to the brain circuitry involved can help pinpoint the origin of the human response through the use of brain imaging. Most of us know how Jonas Salk came to create the Polio vaccine. During the early 1950’s, Polio killed or paralyzed thousands of children as well as adults. It had reached epidemic proportions. Jonas Salk was a young researcher who worked almost 24/7 to find a cure. Despite all his efforts he could not come up with an answer. What he decided to do was to get away for a while, to take some time off from his research — thinking that maybe he was becoming “to close to the forest to see the trees”. He retreated to a 13th Century monastery in Italy known as the Basilica of San Francesco d’Assisi. This basilica could not have been more different than his laboratory. 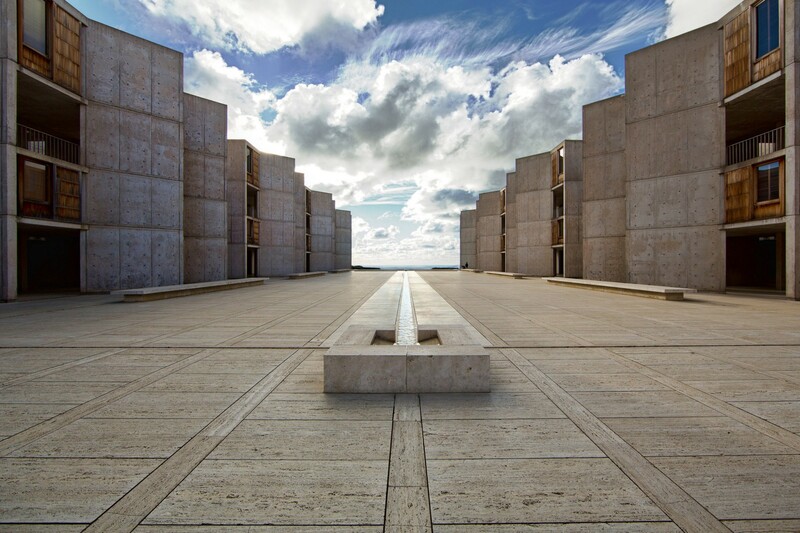 It was in this space that Jonas Salk would have the breakthrough discovery that led to the development of the Polio Vaccine. Did inspiration just happen to strike Salk while he was at the monastery? OR was he RIGHT in assuming that the environment impacted this thinking? What does science say now about the connection between our environment and our thought and actions? The answer to this may well lie in what is now called neuro nesthetics. The vision of our new International Arts+Mind Lab is to focus on and examine which brain processes respond to the many stimuli that affect us in such transformative, memorable and beautiful ways — experiences which we all have had at some point in our lives, but so far, have been unable to explain why they affected us so profoundly and why we still remember them. To succeed in acquiring this knowledge requires an extraordinary amount of research, time, and, of course, money. We will need researchers with highly creative abilities who can develop new approaches and, equally important, we would need dedicated researchers who truly possess the tenacity to never give up trying and who also have the insight to examine other disciplines that have not so far been part of this research. We will also need to reach out to other neuro aesthetics researchers and institutes around the world who could provide valuable clues we might have missed. And, who knows where the answer may be found? If we are successful in finding this elusive key — the potential for its use cannot EVEN be realized at this time, but we are aware that by acquiring this knowledge we could then design and build far better hospitals that would be more effective in treating patients. We would also have the ability to design better research laboratories more conducive to inspiration and achievements. The Brain Science Institute at Johns Hopkins University School of Medicine will become the major setting for explorations into the new field of neuro aesthetics. I am proud that Johns Hopkins has taken on this challenge.